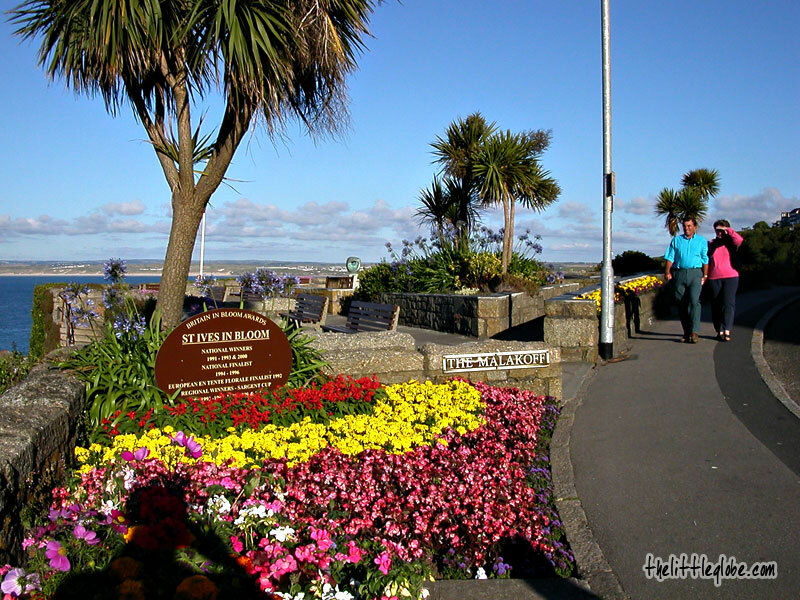 A historic town situated on the western tip of Cornwall, St. Ives has fabulous coastal scenery, traditional cobblestone streets and sub-tropical gardens made possible by the mild climate warmed by the gulf stream. 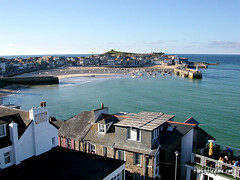 These have made St. Ives a very popular holiday place in England and there are hotels and B&B's all over the place. As part of the trip to Cornwall by rental car with my wife, we stopped by the town for an afternoon. In fact, that was my third time to St. Ives in the similar way. I really liked this cozy little costal town and that was why I kept coming back. We started with walking around those very narrow streets in the town centre. When tired, we took a break at one of the shops that served local “cream tea” (scone with tea). The scone went so well with the tea - superb for teatime. After tea, we continued strolling around the town doing window-shopping particularly at some Cornish pastry and souvenir shops that interested us the most. The scenery of the St. Ives Bay was so beautiful, with the setting of the beach, crystal blue water, hotels, cafés, restaurants, houses, fishing boats and harbour. It’s so relaxing to walk along the beach and enjoy the tranquil surrounding. 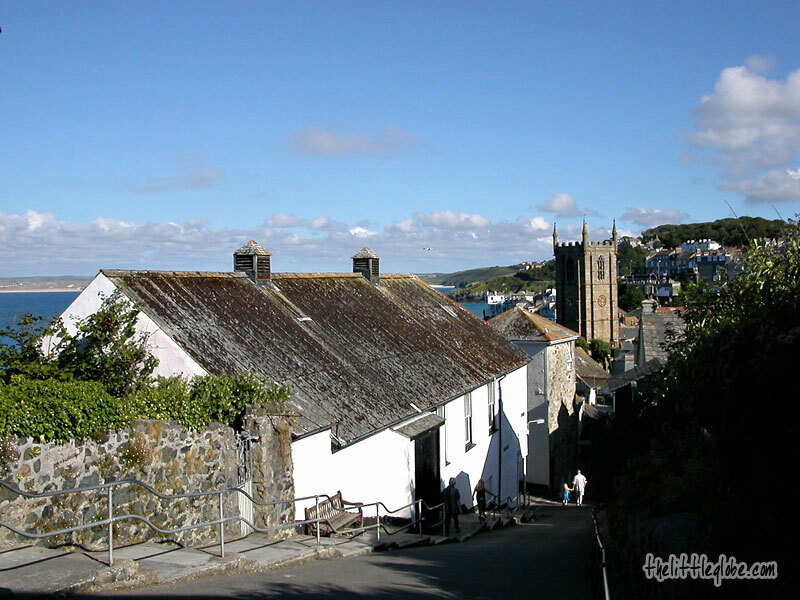 We then walked up to the railway station for a nice view of the bay (don’t miss this if you visit St. Ives, this is the best view of the bay). We took the steps up to the Malakoff, a garden with local wild flowers and sub-tropical plants, spedning some time enjoying the sea breeze. Upon sunset, we left the lovely town. Glad you enjoyed the town. Next time maybe check out St Ives Museum, The Sub-Tropical Gardens and Hepworth Sculpture Garden. Cheers. Steve. St Ives Cornwall.